Like I've mentioned numerous times before, when I first started out blogging, I had absolutely no idea what I was doing. I didn't know what blogging was or what the best methods were to getting done what I wanted to do. I didn't even know blogging could be done "professionally" (in a manner that money could be made). 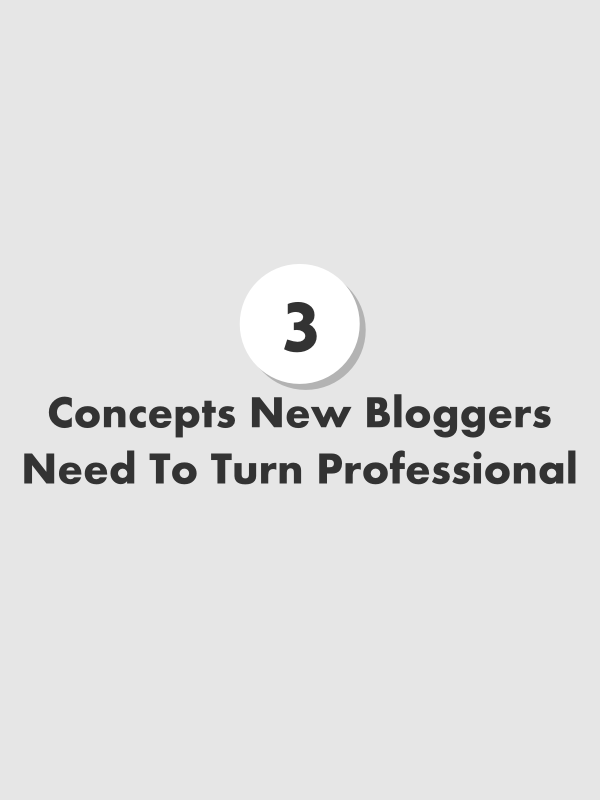 Today's post addresses three basic concepts new bloggers need to go over and consider when they're just starting out. Your niche is - most simply described - your thing. Very similar to the topic of your blog. When finding your blogging niche you need to ask yourself, "what do I like writing about? What am I passionate about? What is something I will never get tired of?" THAT is what the topic of your blog should be. People are attracted to passion. They're attracted to other people who truly enjoy what they are doing. Keep that in mind as you start up your blog and begin typing your first post. I have a design site for those of you interest in free Blogger templates. Why are you blogging? Because you enjoy writing? Because you want to express yourself? Because you feel like you have important things to say? All of these are wonderful reasons - they should be your reminders that keep you focused. But when you veer off and start to think about followers, stats, and shares, that's when you need to step back and ask yourself if you're doing it for the numbers, or for your original purpose. This is something I've struggled with throughout my whole blogging experience, so be wary. It's okay to worry about sharing your content and making sure it's being seen (promotion isn't a bad thing), but there's a fine line between promoting and obsessing. Have any blogger friends that are just starting out?